The rebirth of manufacturing doesn't have to be the real life, economic development equivalent of Mission Impossible. Of all the slides in Joel Kotkin's fact-filled, inspiring remarks to the Licking County Chamber of Commerce Annual Dinner last night, this one stands out. I highly recommend the whole 40+ slide presentation, but if you only have time for one, this is it. Kotkin was here to take a glimpse into the future and talk about his book--The Next Hundred Million: America in 2050--to a chamber audience that included the top leaders of our community. This morning, he'll be putting a workforce focus to his remarks with the keynote address to the Licking County Workforce Summit and a workforce training and development-oriented audience. 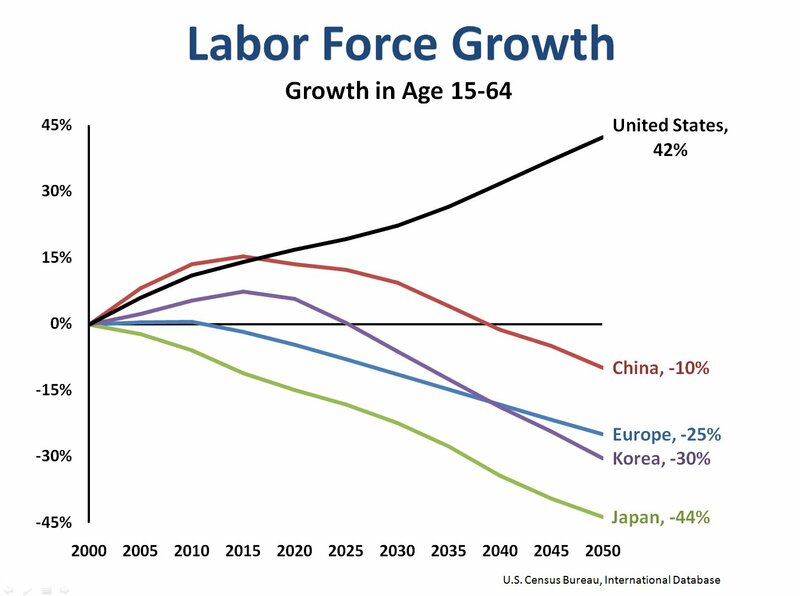 The slide on labor force fits both audiences well. It, frankly, should speak volumes to any audience ranging from college students to presidential candidates. Strike that. I'd like my third grade kids to see it too. What it, boldly, says is that we have the opportunity to be the "maker of things" for the World, if we choose to take it. 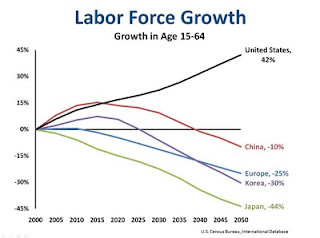 We will have the labor force and the worldwide demand to use that labor here in the U.S. if we can establish an environment where people are willing to risk capital and create jobs. Yes, the rebirth of manufacturing is, indeed, Mission Possible. Thanks for sharing, Joel.